Established in 1986, Elite Photographics is owned and managed by Graeme Buchan LBIPP,LMPA. 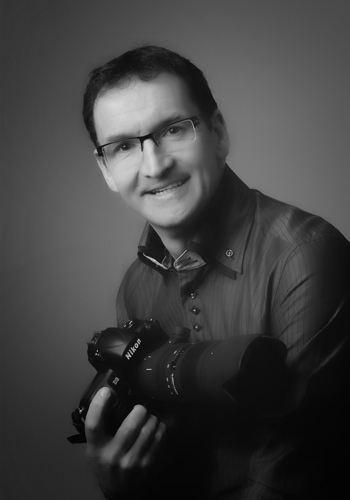 Graeme has been involved in photography for over thirty years and has a wealth of experience in Wedding and Portrait photography. Over the years he has seen many changes in the business but regardless of the technology used and the services offered, customer satisfaction has always been the most important aspect of the business. The Elite studio complex which was designed by Graeme and built to his specifications includes a large spacious studio with changing room, Portrait viewing lounge, customer reception, full in-house production facilities and private parking. All customer areas are located at ground level and there is easy access for prams & buggies etc making a visit to the studio a pleasant and relaxed experience for all ages. Elite Photographics Ltd 27 Finlayson Street Fraserburgh AB43 9JQ Company No SC 245698.